Qualifying was a dry affair, although I was a little disappointed with my lap times. With a best lap of 1 min 41 seconds it was still 3 seconds faster than last year but due to the length of the circuit and nature of the corners I was hoping for a bigger improvement now we're running with slicks and rear wing. Race 1 - 28 min plus 1 lap. Track conditions were tricky to say the least! It wasn't raining but the track was damp, the clerk of the course gave us 2 green flag laps to familiarise ourselves to the track conditions. I lined up 15th out of 18 cars for the race and everyone was on slicks hoping for the track to dry. My start wasn't great losing a place, although the race was soon red flagged after a number of cars spun off. I had a better start second time round holding station even passing a car on the run up to Charlie's. During the race it started to spit with rain making the driving conditions even harder, so early on I decided just a finish would be an accomplishment. So that being my aim I finally finished in 10th position with a fastest lap of 1.43.77 seconds. Race 2 - 28 min plus 1 lap. Track conditions were far better for race two with dry and brighter weather. Starting from 13th on the grid I hoped for a much better finishing position. In Race 2 I really got in the groove, the car was flying, I even managed to lap some of the guys I raced along side with in Race 1. Unfortunately heavy rain came down in the last 5 minutes or so, the competitors started to fall like flies, with slicks and heavy rain not being a good combination! 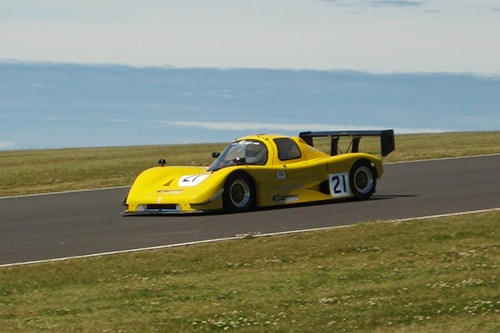 My final finishing position was 6th overall and 2nd in class, best result to date. 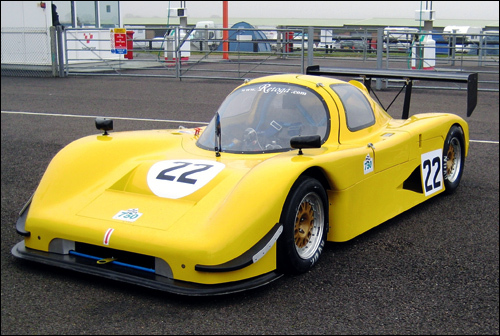 Fastest lap 1.37.1 nearly 8 seconds faster than 2007. Delighted! Current championship position 5th overall and 2nd in class. Having made the long trip to Anglesey on the west coast on Friday afternoon, we were greeted with the most amazing views overlooking the Irish Sea and the Snowdonia mountain range. I must say it was truly breathtaking! 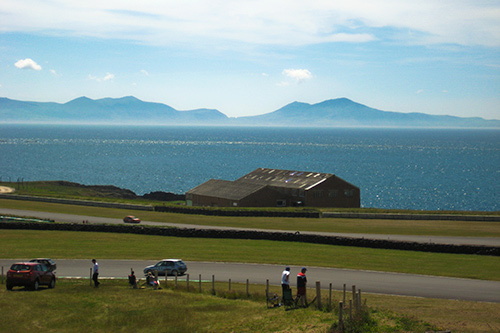 Anglesey Circuit is designed and constructed to take full advantage of the undulating landscape. Technically very challenging with mid range corners, complimented with hairpin bends and a 10% banked corner. 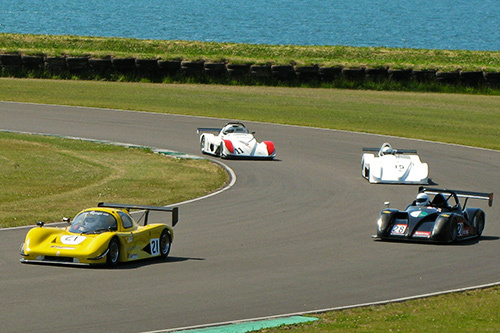 Thus having never been to Anglesey before, qualifying was a case of learning the circuit in the 15 minutes practice session which I used to the max, gradually building up speed and confidence, before qualifying 8th for both races, which I was pleased with. 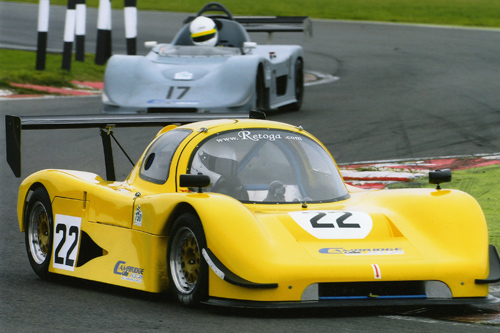 With a reasonable start and holding my position for the opening few corners, I then unfortunately dropped a place to a Radical SR4 at Peel corner, which was the result of fluffing my gears on the approach to Rocket. The SR4 worked his way around the outside, which gave him the line through peel and down the hill towards the start/finish line. Slightly flustered at this point, I spun at the bottom of the hill allowing the remaining cars in the group to pass. After which I gathered myself and carried on for what would be a lonely drive for several laps until I got myself back to my starting position of 8th. Current championship position 7th out of 30. Kevin Goater is back in the hot seat of the "Buttercup" Retoga after the closed season and straight into an eventful qualifying session! Towards the end of the session, one of the lead cars overtook but cut back in too early, resulting in contact with the front panel and splitter on the Retoga. This cut our qualifying session short by a lap or two having returned to the pits to inspect the damage. Qualified 20th, overall race finish 11th and 5th in class. A great race, much more aggressive with my driving style, managed to keep out of trouble and steer clear of several spinning cars at Druids Hairpin. 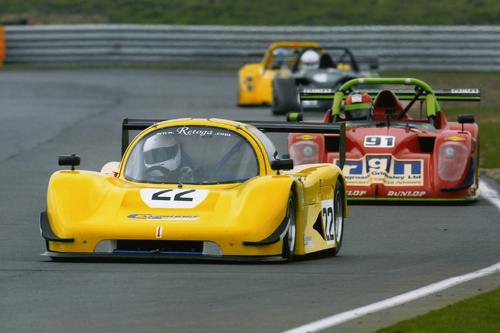 The Retoga gave a great account of herself, battling for a large percentage of the race with Radical’s and Global lights, of which we got the better of in the latter stages. Best lap time of the meeting on lap 19 with a time of 52.00 seconds. 0.25 seconds faster than qualifying. Sean McClurg guest drove the works Retoga at Snetterton in the first event of 2008, rounds 1 & 2 of the 750 Motor Club bike sports event. In both events Sean Achieved 3rd in class. Race 1 - 28min’s plus one lap. Not having the best start in the world (a stall) Sean dropped a couple of positions. Within half a dozen laps or so he had regained his grid slot and held it till the end of the race. Sean’s comments, after six laps or so, it was a bit lonely out there. Race 2 - 18min's plus one lap. 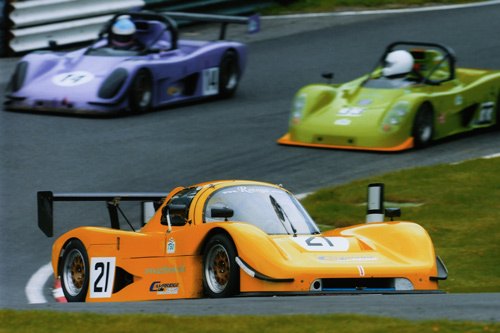 After a much better start, Sean (class ‘C’) battled with cars in class ‘A’ for the majority of the race, with a Radical SR3 & SR4 slipping past him in the dying laps. Even when the Radicals had pasted, Sean Battled on. Gaining ground under braking but losing out when the Radicals had the opportunity to exercise their power advantage. Overall a great days racing with fantastic reliability. We were incredibly fortunate with the weather, not seeing a drop of rain all day. Unfortunately Sundays racing was abandoned due to heavy rain fall over saturday night. Two Yamaha powered Retoga’s to compete in the 750 MC bike sports championship, class ’C’ up to 1000cc standard. 2008 mod's include large rear carbon wing and slicks. New tail section to come online mid season. 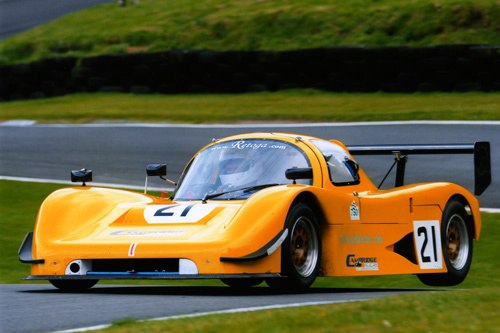 Retoga “Orange Boom” to compete in selected rounds of the Castle Combe Special GT championship.